A new teen game show is now casting teens and their single parents in the Los Angeles area. Are you a teen at least 16 years old with a terrific single mom or dad that you would love to set up on a date? How about a date on a game show? If so, here is a great chance to get on the game show and maybe even get your single parent back into the dating scene. A new show named ‘Parent Match” may want to talk to you! 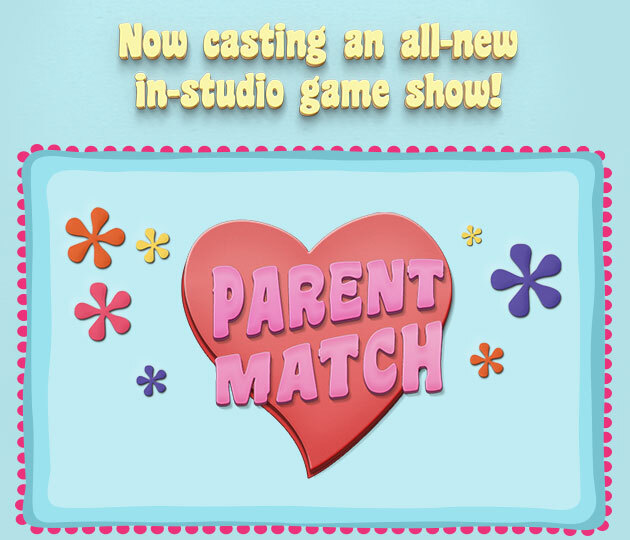 This is an in studio game show that will give teens an opportunity to play matchmaker for their awesome single parents. Parent Match is seeking adventurous, fun loving, super parents and of course their teen kids. Think your parent needs some romance in their lives? PARENT MATCH is a family-oriented dating game show that could finally bring true love into the lives of single parents out there! Introducing an all new in studio game show seeking single parents (moms or dads) and their matchmaking teens. Are you the son or daughter (YOU MUST BE 16 YEARS OLD OR OLDER TO APPLY) of an amazing single parent who denies themselves a dating life to make you happy? Or are you a fun, adventurous, single parent of an amazing teen, but too busy being a super parent to even think about romance? Doron Ofir Casting (Tattoo Nightmares and other great non-scripted shows) is seeking single moms or dads, and their teenage daughters and/or sons – 16 YEARS OR OLDER – who would love a chance to show America how great their relationship is, and win a chance for mom or dad to meet that perfect person. You and your parent/child MUST LIVE IN THE GREATER LOS ANGELES area to be considered. There are 2 separate applications. There is an application for the teen trying to set up the parent and also an application for the parent. You can find the links to both here. Remember… Los Angeles area applicants only please! The show will film in L.A.